Keeping your whole household organized can sometimes feel like fighting a losing battle. No matter what you do, clutter accumulates, stacks get bigger, and simple tasks like getting ready or making dinner gradually seem more difficult. Thankfully, there are some easy home organization hacks you can try. Which parts of your home are active and which are passive? Which rooms get the most foot traffic? Which drawers, shelves and surfaces do you touch most often? Don’t clutter these areas with items you don’t use every day. The easier and faster it is to put things away, the more likely everyone is to do it. Take advantage of creative, accessible storage solutions to make sure your most commonly used items are very easy to put away. For example, kids’ toys are easy to throw into bins and baskets, while coats, scarves and blankets can be quickly hung on wall hooks. Wild goose chases for lost items can result in piles of clutter throughout the house. Instead of rummaging through mountains of stuff every time you need a certain item, employ transparent containers and open storage such as baskets and shelves. Take photos of the contents of containers that aren’t so easy to access, but keep the rest of your belongings as easy-to-find as possible. Open storage is more accessible and a great way to show off your most attractive items. Store colorful objects on your most visible shelves and surfaces. If you don’t have enough books, collectibles and dishware to fill all your open shelves, turn some of them into hidden storage by fitting them with tracks for curtains or drapes. From bandaging a wound to cleaning the bathroom, every task requires a specific group of tools and supplies. 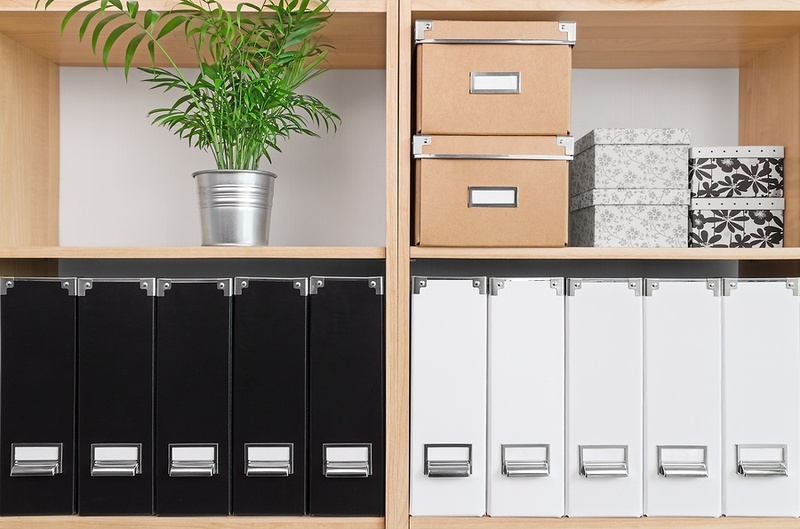 Make things easier on yourself by categorizing these supplies according to task, then storing them in the same place so they’re easier to gather later. For more home improvement help, check out our blog! Stay tuned for Part 2 of this post, in which we reveal our final 5 home organization hacks.